Hypothyroidism and hyponatremia – what are they and what is their relationship? To function properly the human body requires specific levels of electrolytes to be present in our blood. Sodium is one these electrolytes and if the concentration of blood sodium drops to abnormal levels it causes a condition called hyponatremia. Therefore hyponatremia essentially means that your water and sodium levels are unbalanced and it can be caused by excessive fluid intake, insufficient sodium intake or abnormal sodium loss. If the condition becomes severe enough it can bring on seizures or coma and may also be fatal. It should also be noted that it is possible to develop temporary low blood sodium levels through a number of causes such as chronic vomiting or diarrhea, dehydration, ecstasy use etc. However, taking the appropriate actions to restore normal sodium levels, either through drinking more fluids or taking electrolytes, will usually reverse this situation relatively quickly. Are Hypothyroidism And Hyponatremia Linked? 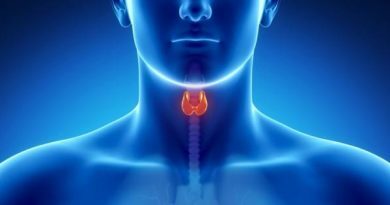 Hypothyroidism is a condition in which the thyroid gland doesn’t produce enough thyroid hormone. Is it linked with hyponatremia? Historically it has been, not the least because some patients with hypothyroidism have an impaired glomerular filtration rate (GFR). This is usually corrected with thyroid replacement therapy. More recent research though is emerging to challenge the idea that hypothyroidism and hyponatremia are associated. A study of the available literature in fact suggests that there is not enough consistent evidence to prove the low levels of GFR impairment in patients with mild to moderate hypothyroidism are sufficient to cause hyponatremia. Furthermore, studies that have looked at the relationship between hypothyroidism and hyponatremia have often focused on patients with myxedema coma, a condition that has repeatedly been linked with hyponatremia. Certainly myxedeme coma is able to cause a big enough drop in GFR to impair kidney function to the point where hyponatremia can develop. However, multi-organ failure generally is very common in myxedema patients so this may also contribute to the development of hyponatremia in these patients. People who take Ecstasy, a recreational drug that is on record has having caused multiple fatal incidents of hyponatremia. As always with health conditions like hypothyroidism and hyponatremia, it’s best to seek medical advice and follow the instructions given to you by those with the training and qualifications to provide such advice. If you suspect you may have this condition based on some of the above symptoms and you’re in one of the high risk categories, your doctor will order urine and blood tests to determine your blood levels of sodium. High levels of sodium in urine and low levels in blood is a sign that you’re losing more sodium than you’re retaining. Treatment for hyponatremia in most cases usually focuses on rectifying or preventing the underlying condition that is causing the hyponatremia. For mild hyponatremia, ensuring that you are well hydrated but not excessively so, and getting enough dietary sodium is usually sufficient to reverse this condition. If you’re sweating, drink only enough to replace those fluids – thirst is a good gauge of how much you need to drink. When you’re no longer thirsty, stop drinking and consider using electrolyte drinks instead of just plain water. If you know you have a health condition that predisposes you to developing hyponatremia be vigilant. Know what the symptoms of low sodium levels are and be prepared to take preventative action as per medical instructions when you experience them. If you do also have hypothyroidism you may, as we’ve noted, also have a degree of impaired glomerular filtration rate. However, taking your thyroid medications regularly should reverse this situation. Drink enough water to remain hydrated. Your urine should be pale yellow and clear. Your thirst levels will also tell you when you need to take in more fluids. Severe hyponatremia may require hospitalization and IV fluids. ← Hypothyroidism Risk Factors – Are You At Risk?